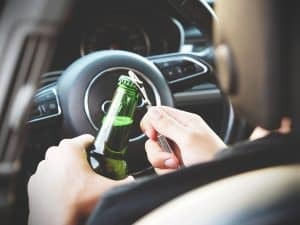 Sydney Drink Driving Lawyers are specialists in handling drink driving matters, our drink driving lawyers routinely appear in all NSW courts representing clients charged with drink driving, driving under the influence (DUI). If you have been charged with a drink driving offence then call our office today 02 9261 8640. We are experts in the field of drink driving law and can help you achieve the best outcome in your case. If you have a drink driving matter listed at court, please call our office and one of our experienced lawyers will return your call to discuss how we can help you. Why engage a drink driving lawyer in relation to drink driving charges? Court can be an intimidating place, particularly for the unrepresented or first time defendant. The court staff, prosecutors and magistrates are all unfamiliar. That is why it is so important to engage lawyers who have experience representing clients charged with drink driving and DUI charges at a Court where you must attend. Drink driving law is complex. You could be walking into a hornet’s nest and not be aware until it is too late. We have represented hundreds of clients in the NSW Courts. Don’t make the mistake to represent yourself or engage inexperienced lawyers at the first instance. George Sten & Co Drink Driving Lawyers all have significant experience representing clients charged with drink driving and drug driving offences. Our drink driving lawyers care about what happens to you, and consider all factors relevant to getting you the best outcome. We have represented thousands of clients over the years charged with drink driving. It is that experience that counts. We have appealed matters all the way to the Supreme Court on an error of law and been successful in relation to technical defences regarding drink driving. All our lawyers attend regular continuing professional development and other training events specifically relating to drink driving. Schedule 3, Cl 16(1) No ADP or MDP. Court may disqualify as it sees fit. s. 54 (9)Additional disqualification period as court sees fit.